So we’ve had Dexter for almost five months now and he has truly become part of our family. 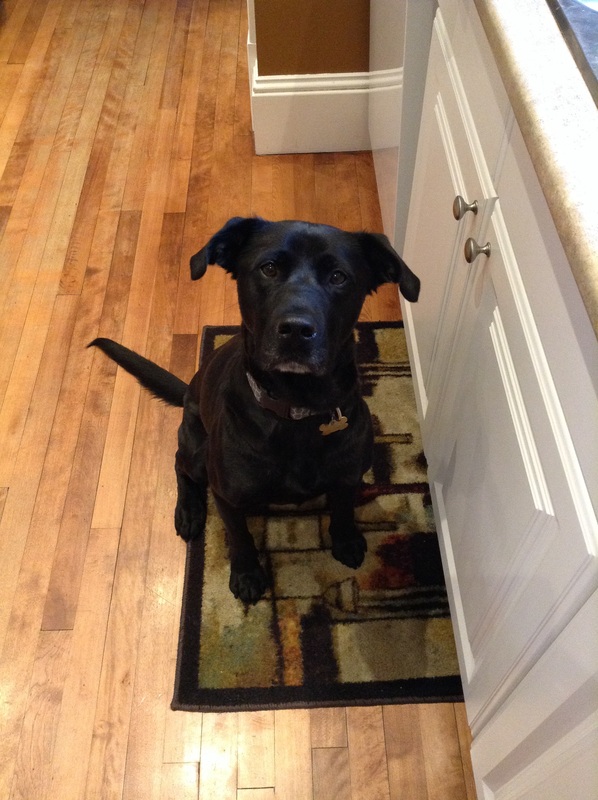 So much so that he has given us all names… did I mention that Dexter can talk? His voice is a mix of Yogi Bear and Dug from the movie Up. Squirrel! Anyway, as I was saying, we’ve been named. Allow me to introduce the family. 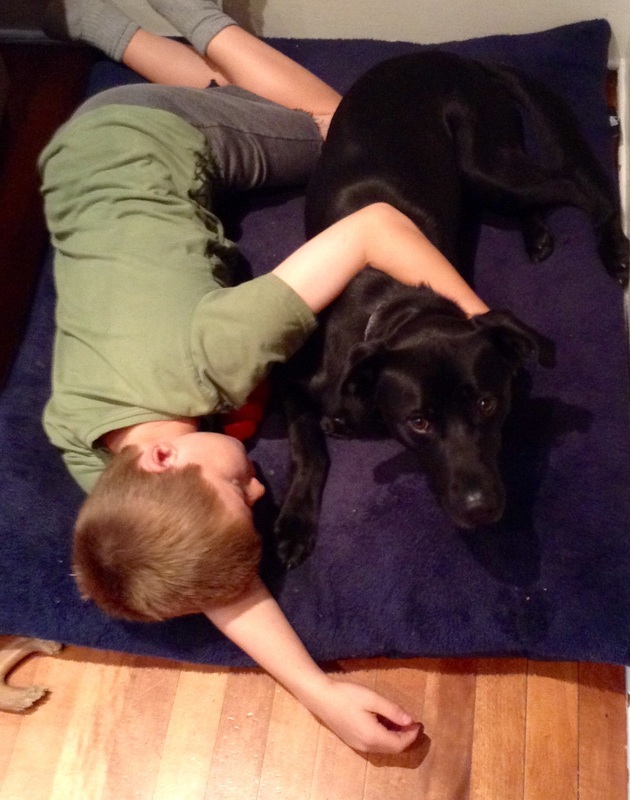 Snuggles – In the evenings, my eldest son CJ likes to cuddle up with Dexter on his dog bed and they whisper sweet nothings to each other. Inevitably, there are are also some kisses exchanged. Sorry to interrupt the moment! The Pepperoni Kid – ET’s favourite bedtime snack is a stick of turkey pepperoni, which he eats as he changes into his PJs. Dexter sits patiently outside the bedroom door because he gets to lick ET’s hands once the snack is gone. 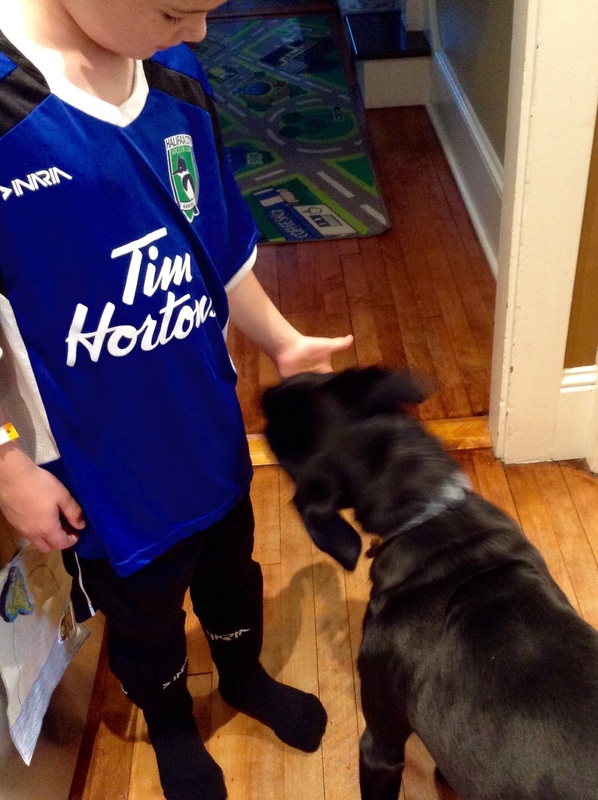 This licking session was actually pre-soccer peanut butter. 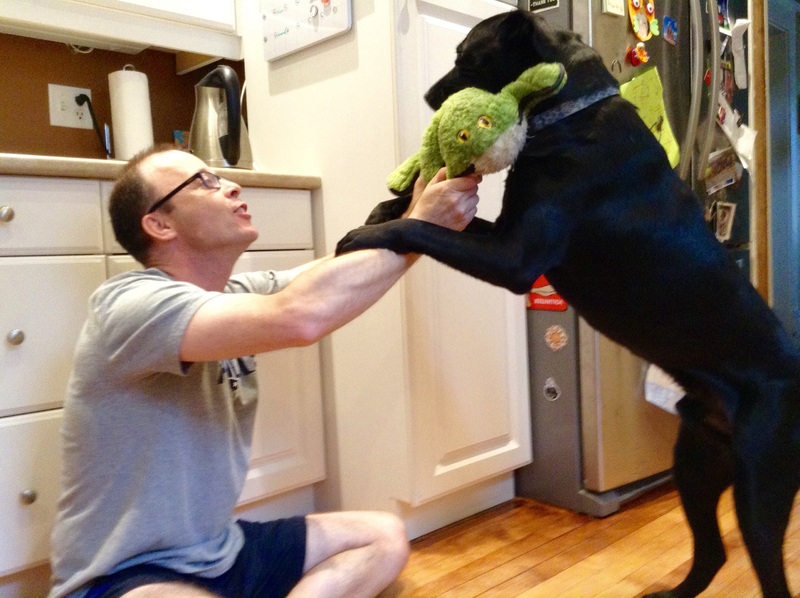 Fun Daddy – The Husband is the guy who is always down on the floor playing tug and giving vigorous belly rubs. There is always a lot of noise and hardly any of it is from the dog. 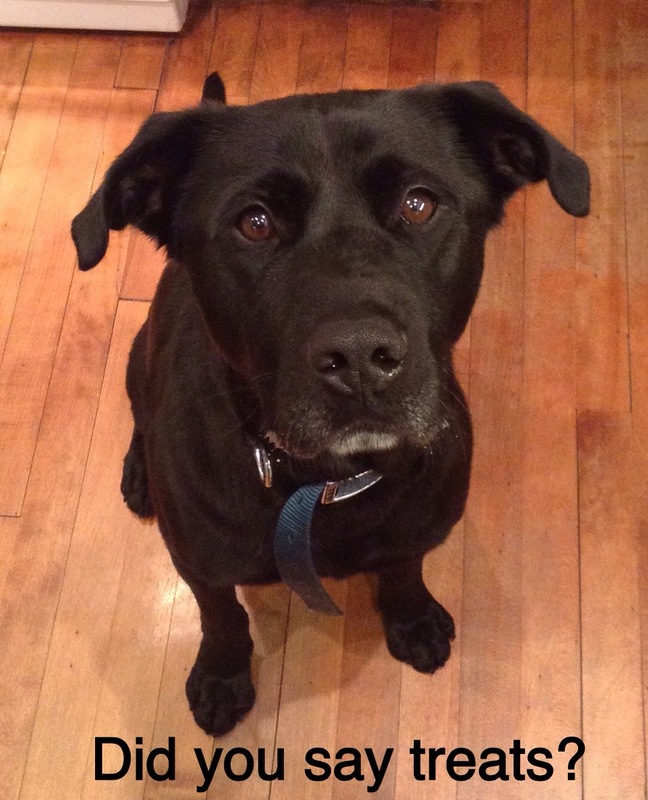 Food Lady – Dexter may be a mutt, but he is all Lab when it comes to his stomach. He LOVES food and, as a result, loves me too. I make his food and feed him all of his meals so, if I set foot in the kitchen, he is there by my side. Literally. He could be sound asleep and I just need a glass of water… tip toeing doesn’t work, I’ve tried. Someone had to take the picture! Because it is apropos, the rest of the family has now taken to calling me Food Lady as well. Nothing like a chorus of “Thanks for dinner, Food Lady” to warm a gal’s heart! Hey, I’ve been called worse things in my life! Can your dog talk? What does he call you? I know none of these are exclusive to a house with boys but, as a whole, I think the gender of our children is pretty clear. 1) Random toy collections litter every surface of our home. 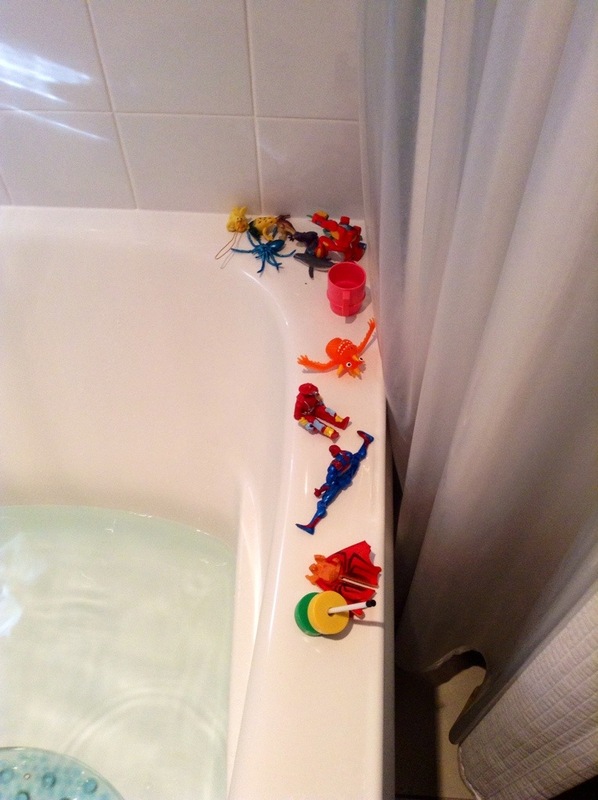 2) There is a high-tide line in our bathtub. 3) “Wash your hands before you touch anything!” is a standing order. 4) We have a mysterious “trail-mix” factory in our car. 5) We are grateful everytime the puddle on the bathroom floor is only water. 6) We know the excruciating pain of stepping barefoot on Lego. 7) The only “F word” in our house is fart. 8) We have a “no bugs/rocks/sticks in the house” rule. 9) We can’t make plans until we check the kids’ hockey schedule. 10) The laundry never ends. 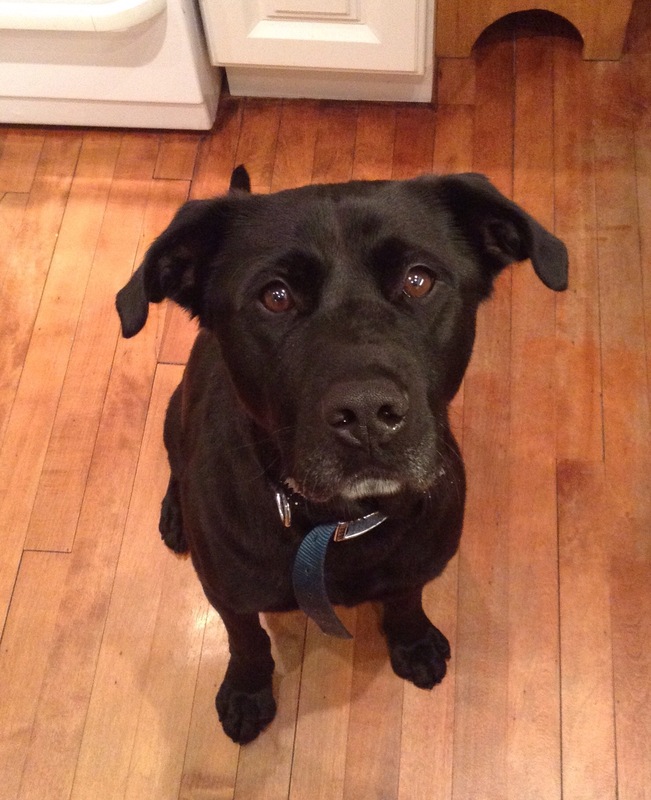 11) Our house had a stinky dog odor before we even got a dog! Do you have boys, girls or a mixture? Does your house have a particular gender flavour?